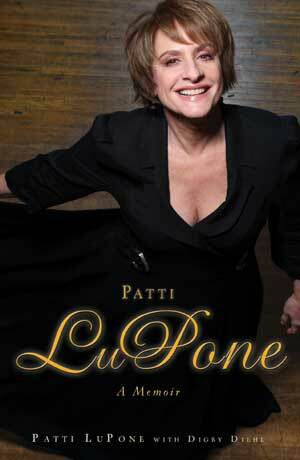 Patti LuPone gives us the behind the scenes stories of her amazing career in the theater in her aptly titled memoir - Patti LuPone: A Memoir. Two stories I found interesting were Evita and Sunset Boulevard. As a side note, this fall, Ms. LuPone reunites with her Evita costar on Broadway in An Evening with Patti LuPone and Mandy Pantinkin. When I think of Ms. LuPone, I automatically think musical theater star. Therefore, it was interesting to read that in Evita, Ms. LuPone had the most difficult time singing the score and a member of the chorus actually had to help her with her vocal technique. On top of the issues with her voice, during rehearsals, she constantly had people comparing her to Elaine Page who played the role in London. Also, she had an alternate who hoped she would fail. In LA, she opened to bad reviews and was on the verge of being fired. However, Hal Prince had faith in her. In San Francisco, while her alternate received good reviews, Ms. LuPone received more bad reviews. In NY, she opened to bad reviews. However, the cast worked harder and eventually turned audiences around. Through word of mouth and marketing, the show was a success though Ms. LuPone continued to struggle with her singing. She won a Tony for Best Actress in a Musical and after her contract with the show ended and she moved on. I will try to simplify the drama behind Sunset Boulevard, which covers 2+ chapters in Ms. LuPone's memoir. Plagued with rumors from the start, Sunset Boulevard turned out to be one of the worst experiences in the theater for Ms. LuPone. What should have been initially a rehearsal turned out to be some sort of workshop performance in front of the theater community. Luckily Ms. LuPone's performance was a hit and she was verbally offered the role of Norma Desmond. Shortly after, rumors (possibly planted by Mr. Weber's company) started flying around in the press about who would play Norma. Finally, Mr. Weber announced that Ms. LuPone would. Contractually, Ms. LuPone was to play the lead in London and then in NY on Broadway. She however would not perform in LA, which was scheduled to open prior to the NY opening. Strangely, the lead there would be Glenn Close. After Sunset Boulevard opened, the London press was favorable; the US press however did not think that Patti LuPone's Norma Desmond was crazy enough. After the bad US press, Webber’s company was afraid to have Ms. LuPone play Broadway but instead of “manning up” and buying her out of her contract, they started a web of childish rumors. While Ms. LuPone was miserable during this period in London, Ms. Close was getting good reviews for her performance in the LA run. One day, Ms. LuPone viciously learns that she had been in effect fired when a gossip column revealed that Ms. Close would play Norma on Broadway. To add insult to injury, in a later letter to Ms. LuPone, Webber had the gall to suggest that she take over Ms. Close's role in the LA production. Ms. LuPone finished out her London run, for which she was nominated for an Olivier award (she lost), returned to the US and took a much needed vacation. The amount of the breach of contract settlement was not disclosed. When you read this story, you are almost tempted to not attend another Webber musical.